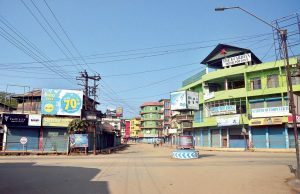 A collage of pictures showing deserted streets, and commercial establishments of Nagaland with their shutters down on Monday during the state-wide shutdown. 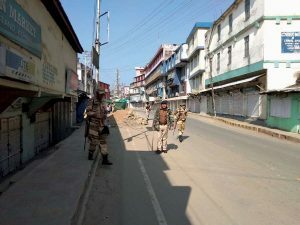 Dimapur, Feb 11: The state-wide shutdown on Monday to protest the government of India’s move to pass the contentious Citizenship (Amendment) Bill, brought normal life to a grinding halt in Nagaland even as it evoked total response from the people. The joint coordination committee of civil society organisations in Nagaland, spearheading the campaign against the Bill, had called for a 10-hour shutdown from 6 am to 4 pm. 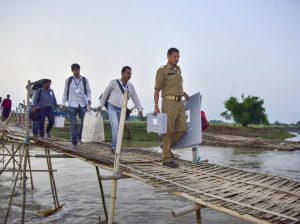 The duration was shortened to six hours in ENPO areas to allow preparations for the board exams set to begin today. The shutdown also represented a form of the people’s demand for settlement of the Indo-Naga talks before the Lok Sabha polls this year. Coincidentally, on the same day, elsewhere a change of guard was taking place within the NSCN (IM) hierarchy. Crucially, the bandh went off peacefully across the state. In Dimapur, the state’s commercial nerve centre, all public transport and services were suspended; while few private vehicles plying on the road were stopped by gaon burahs at major checkpoints along the highway. The generation secretary of Nagaland GB Federation, Shikuto Zalipu told Eastern Mirror that the Citizenship Bill was a collective issue; thus, the next course of action would be decided collectively. He suggested that the decision would be taken basing on the next move of the central government. He was hopeful that the shutdown on Monday has reminded the government of India about how serious the Naga people were on both the issues. 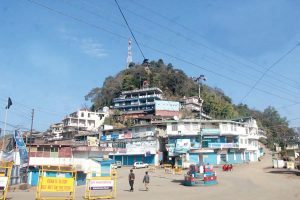 At the state’s capital Kohima, the bandh was described as a success by the president of Kohima District Gaon Burah Association, Vineipra Pienyü. Should the government of India heed to the people’s voice, he said, the ‘matter ends here.’ The shutdown was peaceful because participation from the people was voluntary, he said. Nevertheless, police personnel were deployed at certain pockets of the town throughout the duration of the bandh. In Mokokchung district, the bandh was monitored by more than 700 gaon burahs in their respective area, it was informed. In Mokokchung town, the GBs were assisted by members of Ao Kaketshir Mungdang, Mokokchung Town Lanur Telongjem, All Ward Union Mokokchung Town and other NGOs. Volunteers were placed at various locations to make sure that the bandh was enforced successfully. In Wokha town, the district’s GB association spearheaded the shutdown. After the bandh was relaxed at 4 pm, they conducted a short prayer programme at police point, Wokha town. Later in the evening, the joint coordination committee issued a statement saying that the “spontaneous participation” by the citizens of Nagaland itself speaks volumes of the two burning issues at hand, which are close to the heart of the people. “The central political leaders should take heed to the voice of the citizens of Nagaland on early Naga political settlement and our fierce opposition to the Citizenship (Amendment) Bill,” the statement read. It described the Bill as “another form of internal aggression against the indigenous people of Northeast India that infringes into our basic rights and survival”; and asserted it would “leave no stone unturned” to see that the Naga political solution reach its timely logical end. “The committee is also in touch with the activists and movements in the various states of Northeast India to oppose CAB, tooth and nail. Therefore we appeal to the citizens of Nagaland to be prepared for further course of action on times such as these, where sacrifices has to be made for issues detrimental for our birthright and coming generations,” it stated.